This is a Perspective on "Coherent fluctuation relations: from the abstract to the concrete" by Zoë Holmes, Sebastian Weidt, David Jennings, Janet Anders, and Florian Mintert, published in Quantum 3, 124 (2019). By Martí Perarnau-Llobet (Max Planck Institute for Quantum Optics, Garching, Germany). Fluctuation theorems play a central role in our understanding of the thermodynamics of small systems (see e.g. the review ). In particular, Crooks’ fluctuation theorem relates the probability of performing some work on a system during a non- equilibrium process to the probability of extracting the same amount of work in the time reversed process; and it shows how processes that extract work from a thermal state are exponentially less likely than those which require work . This can be seen as a probabilistic version of the second law of thermodynamics, and becomes particularly relevant in small systems where thermal (or quantum) fluctuations can no longer be neglected with respect to average quantities. The standard approach to extend fluctuation theorems to the quantum regime has two basic elements: work is performed on (or extracted from) the system when it is driven by a time-dependent Hamiltonian; and work fluctuations are obtained by performing two energy measurements on the system, at the beginning and at the end of the process. This naturally leads to the quantum version of Jarzynski and Crooks fluctuation theorems, which look identically alike to their classical counterparts (see e.g. the review ). Despite the obvious sucess of this approach, one may wonder whether quantum effects are hidden by the way that work is performed and measured. On the one hand, various measurements schemes that are less invasive than the two-energy-measurement approach have been suggested in order to capture quantum interference phenomena in the work distribution (see the recent review ). On the other hand, it has gained popularity the idea of replacing the external time-dependent control of the Hamiltonian by a quantum battery, which provides (receives) energy to (from) the system. In this approach, system and battery make a closed quantum system, in which the total energy is preserved; and work is identified with energy gained/lost by the battery. In his recent article, Åberg developed a quantum generalisation of Crooks’ fluctuation theorem in the context of time-independent or autonomous Hamiltonians . In this case, the fluctuation theorem relates transition probabilities between battery states. When such states are energy eigenstates, then the Crooks fluctuation theorem is recovered. Yet, Åberg’s approach also allows for describing transitions between more general quantum states, which leads to new fluctuation relations and quantum modifications of Crooks’ equality. The main aim of the article by Holmes, Weidt, Jennings, Anders and Mintert is to bring the general and abstract results of Åberg into specific quantum fluctuation relations for physically relevant battery states . Taking the battery to be a quantum harmonic oscillator, they derive Crooks-like equalities for transitions between battery states consisting of coherent, squeezed and cat states (i.e. a superposition of two coherent states). For coherent states, they find a neat transition between quantum and classical behaviour: for high temperatures, the ratio of transition proabilities between forward and reverse processes is governed by the change of equilibrium free energy (i.e. Crooks equality); whereas for low temperatures a quantum correction dominates. This term is directly related to quantum vacuum fluctuations and it has a very interesting effect: the probability of the reverse process becomes larger than expected classically. This leads the authors to conclude that quantum fluctuations can make, in some sense, irreversibility milder. For squeezed states, Holmes et al find that the squeezing parameter can have a relevant effect on the quantum correction, making it either larger or smaller depending on the type of squeezing considered. The article combines these interesting theoretical insights with a specific experimental proposal on a trapped ion. Two internal energy levels of the ion play the role of the system, whereas the oscillator battery is realised on the ion’s axial phonon mode. In order to make the system and battery interact as desired, the authors consider two mechanisms consisting of a position dependent magnetic field and an off resonant laser field, and discuss relevant experimental parameters that make the proposal realistic in state-of-the-art technologies. Overall, the article of Holmes, Weidt, Jennings, Anders and Mintert represents an important step forward to both our understanding and experimental implementation of quantum phenomena in thermodynamics. Christopher Jarzynski, Equalities and inequalities: Irreversibility and the second law of thermodynamics at the nanoscale. Annual Review of Condensed Matter Physics, 2(1):329–351 (2011), 10.1146/​annurev-conmatphys-062910-140506. Gavin E. Crooks, Entropy production fluctuation theorem and the nonequilibrium work relation for free energy differences. Phys. Rev. E, 60:2721–2726 (1999), 10.1103/​PhysRevE.60.2721. Peter Hänggi and Peter Talkner, The other QFT. Nat. Phys., 11(2):108–110 (2015), 10.1038/​nphys3167. Elisa Bäumer, Matteo Lostaglio, Martí Perarnau-Llobet, and Rui Sampaio, Fluctuating work in coherent quantum systems: proposals and limitations. arXiv:1805.10096. Johan Aaberg, Fully quantum fluctuation theorems. Phys. Rev. X, 8:011019 (2018), 10.1103/​PhysRevX.8.011019. Zoë Holmes, Sebastian Weidt, David Jennings, Janet Anders, and Florian Mintert, Coherent fluctuation relations: from the abstract to the concrete. 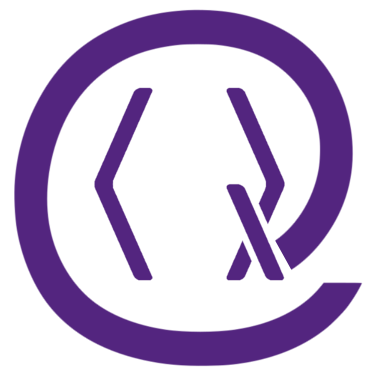 Quantum, 3:124 (2019), 10.22331/​q-2019-02-25-124. On Crossref's cited-by service no data on citing works was found (last attempt 2019-04-23 12:11:00). On SAO/NASA ADS no data on citing works was found (last attempt 2019-04-23 12:11:01).